In Book One of this four-volume work, Alexander describes a scientific view of the world in which all space-matter has perceptible degrees of life, and establishes this understanding of living structures as an intellectual basis for a new architecture. He identifies fifteen geometric properties which tend to accompany the presence of life in nature, and also in the buildings and cities we make. These properties are seen over and over in nature and in the cities and streets of the past, but they have almost disappeared in the impersonal developments and buildings of the last hundred years. 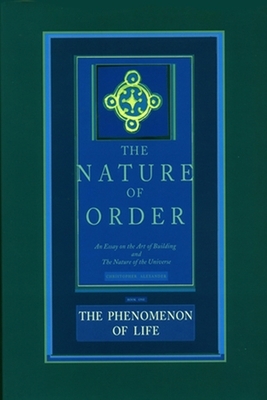 This book shows that living structures depend on features which make a close connection with the human self, and that only living structure has the capacity to support human well-being. Christopher Alexander is a fellow of the American Academy of Arts and Sciences, architecture, builder and author of many books and technical papers. He is the winner of the first medal for research ever awarded by the American Institute of Architects, and after 40 years of teaching is Emeritus Professor at the University of California, Berkeley.